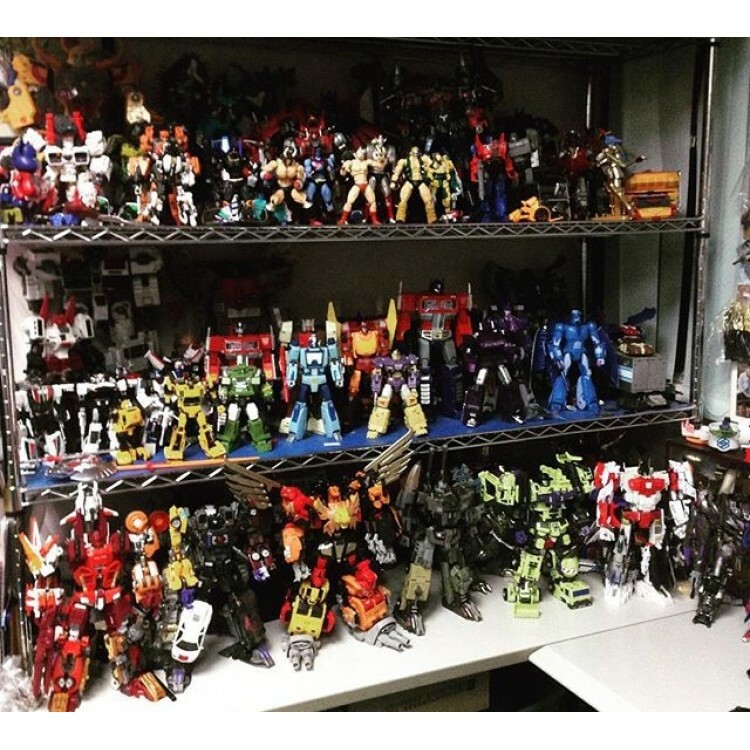 Transformers Generations Platinum Edition sets feature figures with a high level of detail, plus premium features and packaging. 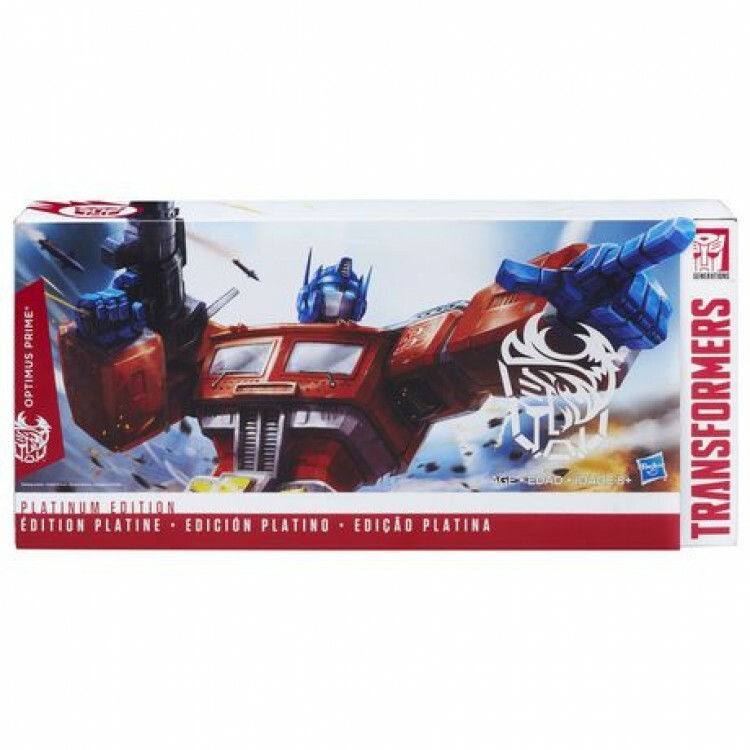 This Platinum Edition Chinese New Year figure celebrates the Year of the Rooster by showcasing the Autobot Leader, Optimus Prime, with special edition deco and die-cast parts. ptimus Prime battles the Decepticons whenever they threaten the cause of freedom.. Since the beginning, Autobot Roller has been his ally. 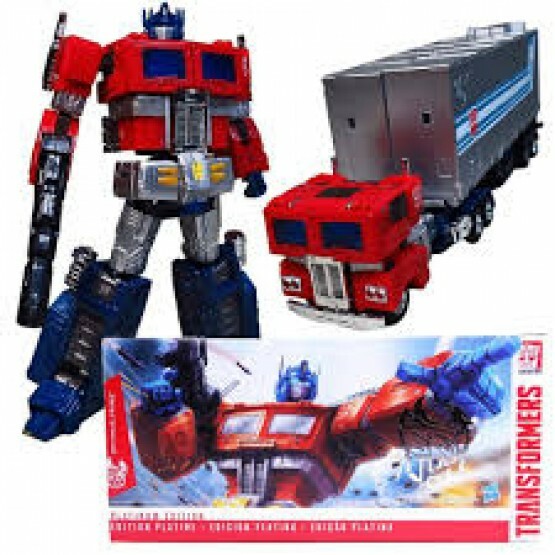 With the scout car by his side and a combat deck housed within his trailer, Optimus Prime is unstoppable. This Platinum Edition figure features die-cast parts and a converting trailer. 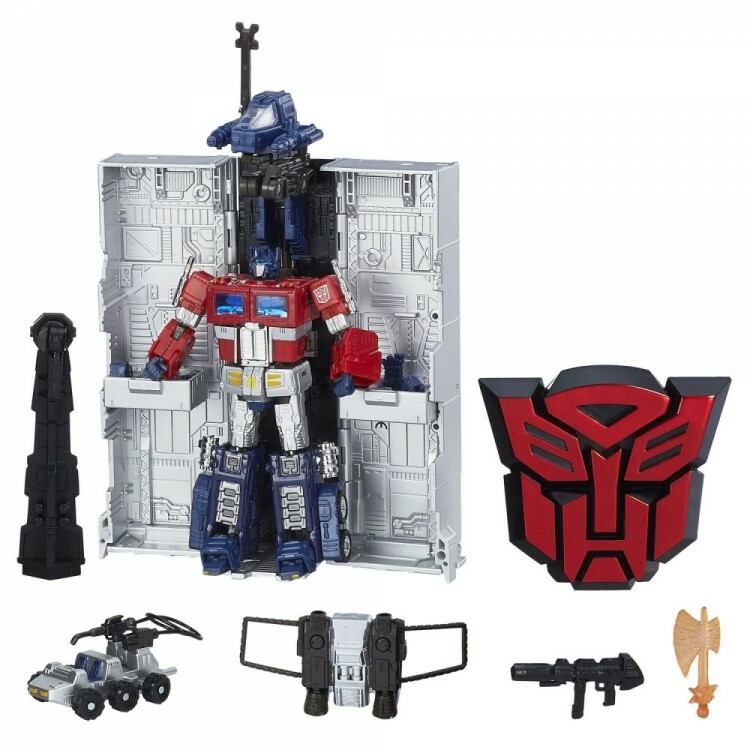 It comes with an Autobot Roller vehicle, 6 additional figure hands, converting blaster, Matrix of Leadership, jetpack, and Energon axe accessories, plus a figure stand.